It is a challenge to write a good, interesting formal biography..forgive me if I fail you.There is a list of my orchestral directing history so far at the end, so if you 'nod' off reading the lists in the biography, there is more information there. My recital work, in its various guises, have pages to themselves: Beethoven, Bach, Trio, Baroque recitals. 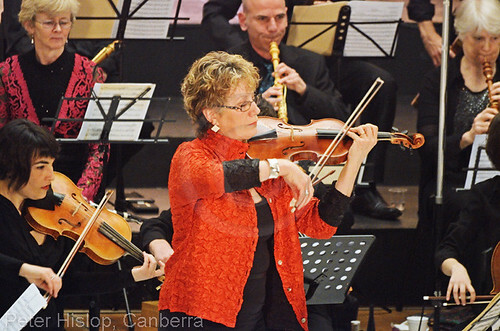 A leading interpreter of music on the baroque and classical violins, Elizabeth Wallfisch is a favourite with both audiences and orchestras because of her virtuosity, her generous, sparkling personality and her impeccable musicianship. Her appearances are marked by a daring and spontaneous approach to performance that results in electrifying musicmaking. Renowned not only as a prominent interpreter of 17th and 18th century violin music, she is also an inspiring leader and director. Elizabeth Wallfisch has been a Guest Director/Leader on the violin with many of the world's 'period instrument' orchestras including the Orchestra of the Age of Enlightenment, Netherlands Bach Society, Tafelmusik- Canada, Apollo's Fire, the Hanover Band, L'Orfeo Barockorchester, the Australian Brandenburg Orchestra and Philharmonia Baroque, Carmel Bach Festival Orchestra, Concerto d'Amsterdam, Brandywine Baroque, Raglan Baroque, Musica Angelica, Pacific Baroque Orchestra. More and more the world of 'modern' Chamber Orchestras are demanding an in depth look at the 'Concepts of Style' in their playing of the music of the 17th and 18th centuries, leading to many invitations to direct. It is a privilege to direct such fine orchestras as the Saint Paul Chamber Orchestra, Israel Chamber Orchestra, the Vancouver Symphony, the Herford Symphony Orchestra, Leipzig Chamber Orchestra, Stuttgarter Kammerorkester, Vasteras Sinfonietta, Australian Chamber Orchestra. Elizabeth Wallfisch's long and impressive discography offers a window onto her expansive musical world. From the High Baroque Italian violinist-composers such as Vivaldi, Corelli, Veracini, Tartini, Geminiani and the Classical and Romantic greats from Mozart to Mendelssohn. She has explored the music of Paganini and Viotti and has recorded much of the music of the great Baroque tradition, from the earliest Italian violin music of Cima, to Biber, Telemann, Bach and the rich, sensual music of the French Baroque. Always keen to nurture young talent, Elizabeth has recently formed the Wallfisch Band, a unique international period-instrument orchestra in which highly talented younger players, either still studying or on the threshold of their careers, play alongside Elizabeth and her 'seasoned' colleagues-all players at the very top of the profession. 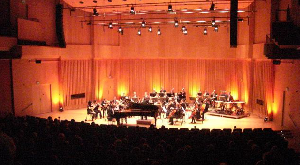 The experience is a living 'masterclass' within an intensive rehearsal and concert environment. The combination of youthful energy and musical experience results in performances of the greatest vigour, intensity and passion. The ensemble made its debut in the 2008 Lufthansa Festival of Baroque Music and has performed, and will continue to perform, in the UK, Germany, New Zealand and Austrailia in the coming seasons. Elizabeth Wallfisch has published a treatise, specifically on fundamental aspects of baroque violin playing: The Art of Playing Chin-Off for the Brave and the Curious, published by King's Music.